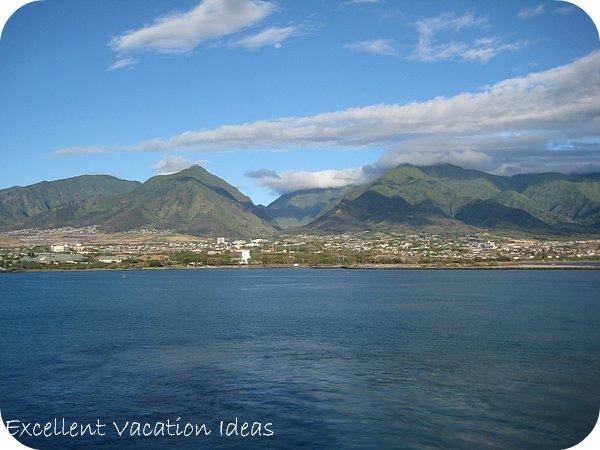 Pictures of Maui - Take a trip to Maui via Photographs! 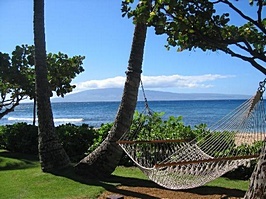 Pictures of Maui just don't do the Hawaiian Island Justice. However, they do give you a sense of what to expect and the beauty of the island. Warren and I have visited Maui for 2 days, while cruising on the Pride of Hawaii, in the Summer of 2007. We loved Maui, and planned to go back there this summer, however the island of Kauai called to us instead. We will return though! During our 2 days travelled the Road to Hana (which is something EVERYONE should do! ), and drove around the island. 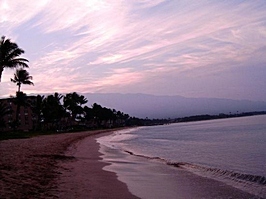 See others Maui pictures or share some with other visitors. The road to Hana is an all day trip that you can do independently by renting a car (just make sure you have a great guide book to get the most out of the experience) or take a tour in a small bus (large buses won't fit on the road). It is considered one of the top 10 most beautiful drives in North America. 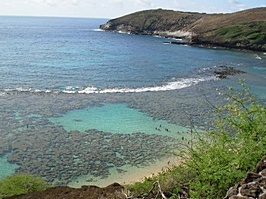 It is a winding adventure of 52 miles starting at the town of Pa'ia. It takes you slowly along beautiful and lush, curvy and hilly road to a small town called Hana. You will cross 66 one lane bridges and the speed limit is 15 mph in most places. You can stop at numerous waterfalls, black sand beaches, bays and banana bread stands along the way. However make sure you hit a bathroom before starting the drive! It was one of our favorite days and we felt as if we had accomplished an adventure after making the journey. You are rewarded at the end with a quaint town, Hana, and if you choose (we HIGHLY recommend it) lunch at the Hana Hotel - it was an oasis after the drive - and they have great food and a beautiful view! 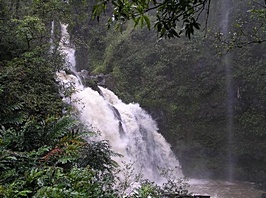 You could take your time and drive to Hana and stay the night or a couple of days! 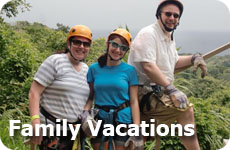 It is great vacation idea! This trip is an incredibly romantic trip, however the kids would love it too! 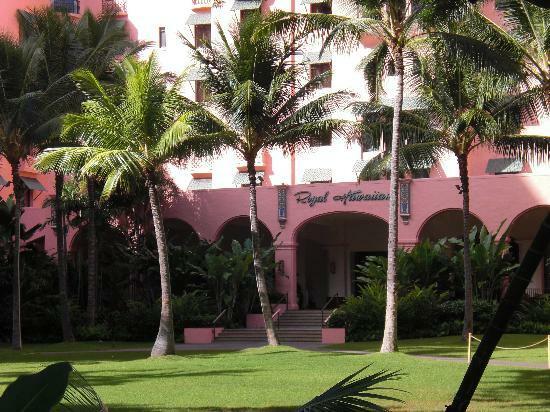 Visit the Pink Palace of the Pacific - A historic and newly renovated hotel complex right on Waikiki Beach. Event the bed sheets are pink!